Want to take a relaxing interstellar vacation? 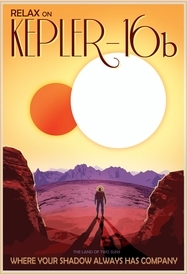 Consider visiting Kepler-16b, a world in a binary star system. 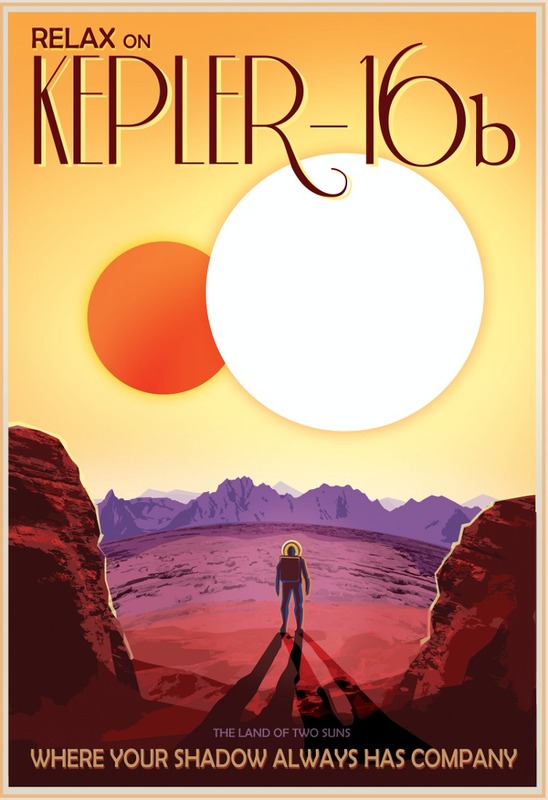 In fact Kepler-16b is the first discovered circumbinary planet. It was detected in a wide 229 day orbit around a close pair of cool, low-mass stars some 200 light-years away. The parent stars eclipse one another in their orbits, observed as a dimming of starlight. But Kepler-16b itself was discovered by following the additional very slight dimming produced during its transits. Like sci-fi planet Tatooine of Star Wars fame, two suns would set over its horizon. Still, Kepler 16b is probably not a Tatooine-like terrestrial desert world. Instead, Kepler 16b is thought to be a cold, uninhabitable planet with about the mass of Saturn and a gaseous surface ... so plan to dress accordingly. Or, choose another Visions of the Future vacation destination.